Balloon flower, or Platycodon grandiflorus, is also known as Chinese bellflower. While bees and hummingbirds like balloon flowers, happily these flowers are not particularly favored items on deer and rabbit menus. These plants are forgiving and undemanding, making them perfect for beginning gardeners. It’s nothing to concern yourself with if your balloon flowers don’t seem to grow rapidly. They typically develop slowly and may take two or three years to become completely established. Plant your balloon flower seedlings about 18 to 24 inches apart in early spring, right after the last frost of the season has passed. Choose a fertile, well-draining site with slightly acidic soil in full sun or partial shade. Amend heavy or packed soil with organic compost. Young plants put out this spring will begin blooming in July. Water the new planting site deeply to completely moisten the soil. Apply 1 to 2 inches of mulch to your balloon flowers in late spring or early summer. This helps to retain moisture and control weeds, and will provide winter protection for the roots. Don’t fertilize them during their first season after planting. Cut balloon flowers for arrangements freely throughout the blooming cycle. Wear gloves to protect your hands from the natural milky sap that is exuded when stems are severed. Sear the cut ends of stems with a lit candle or match right away to staunch the fluid flow. Deadhead balloon flowers as soon as the blooms wilt. This will extend the blooming season into part of the fall, rather than lasting only a single month of flowering in the summer. Water balloon flowers about once weekly throughout the growing season. This should be sufficient to keep the surface soil evenly moist, but not soggy or wet. Don’t allow them to dry out or have wet feet. Stake your balloon flower plants when they grow tall enough to tend to flop over from heavy wind or rain. 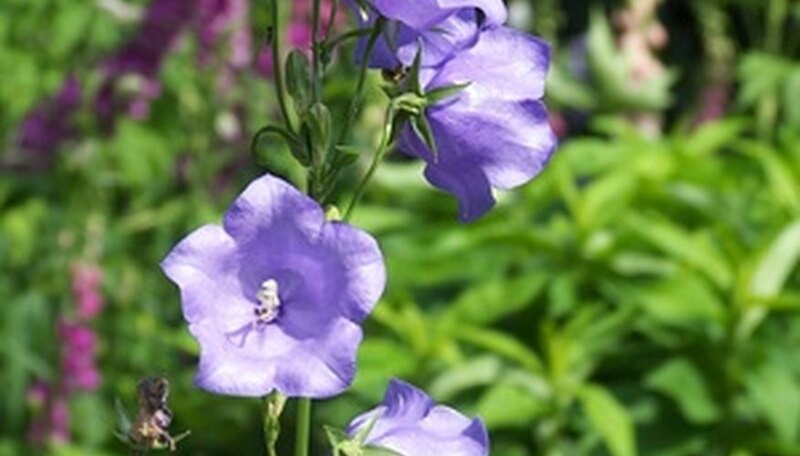 Mark the locations of balloon flower plants when foliage begins to die back in the fall. They’re slow to appear in the spring, so markers will remind you where they are to avoid inadvertently damaging them. Feed balloon flowers a slow-release nitrogen fertilizer during their second spring.